It is possible that you may have missed the announcement last week that the Chicago Police Officer who killed 55 year old Bettie Jones and 19 year old Quintonio LeGrier, will not have any charges pressed against him. The day after Christmas last year, police were called to the building where Bettie Jones lived. Quintonio LeGrier was apparently very upset and had a baseball bat, his father Antonio called the police. When the police arrived Bettie Jones opened the door of the building. She was shot and killed while the police were shooting at Quintonio, who was also killed by the police. The Cook County State’s Attorney (Kim Foxx’s office) claimed, “there was not enough evidence to prove the officer was not acting in self-defense.” This decision to not even press charges and put the officer on trial continues the pattern of the previous States Attorney Anita Alvarez, who Kim Foxx replaced. Regardless of Foxx’s excuse to not press charges, this allows for police impunity to continue. We need to demand an elimination of the ridiculous articles of the Fraternal Order of Police (FOP) contract that encourages officers to lie and cover up their tragic actions. There are articles in their contract that require officers to stay silent even if they witness a fellow officer doing something inappropriate. This silence is effectively known as the Code of Silence. The Code of Silence is something that Mayor Emanuel and the city admit exists. The FOP contract led to the acquittal of Dante Servin for firing recklessly into a crowd and killing Rekia Boyd. The same contract allowed Jason Van Dyke to empty a full clip of 16 shots in Laquan McDonald, allowed police to erase the Burger King surveillance video where the incident happened and in collaboration with the City of Chicago kept the video hidden for a year. In addition, Jason Van Dyke is now quietly trying to get his charges dropped. This contract allowed for the very controversial police killings of Paul O’Neal, Pierre Loury, Joshua Beal, and Kajuan Raye, just to name a few of the lives taken. It is important that you know that I’m a teacher that supports and promotes unions. However, as a CPS teacher for 10 years, I have heard countless stories of police brutality shared by my students. Both schools I have worked at had students killed by the police and many other students had been assaulted and harassed by other officers. It is time for educators along with everyone else to call the Fraternal Order of Police union out. The FOP and the city will begin negotiations for a new contract soon as the current one expires this summer. It is important that we demand that our Alderman, State’s Attorney, and Mayor create a new contract that keeps citizens safe, as well as police. The vast majority of police officers are not the issue. The system is the issue. The system that encourages good cops to stay quiet. The system that encourages police who are brave enough to speak up to face dangerous levels of retaliation. The system that refuses to change the way police are investigated. The mayor changed the name of the reviewing agency from Independent Police Review Authority (IPRA) to the Civilian Office of Police Accountability (COPA) to sound different but the premise is the same; no accountability for police. 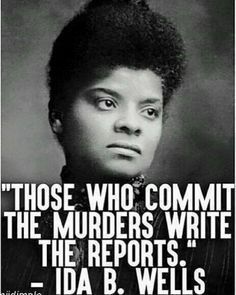 If there is a system that allows for police to kill and face no accountability then we need a new system. A system such as the Civilian Police Accountability Council (CPAC) must be put in place. The difference between CPAC and the Mayor’s appointed council no matter what he calls it, is that CPAC is elected. CPAC would hire the Chief of Police, investigate ALL police shootings, establish the budget for policing and much more. Rahm does not want community control in Chicago. Just like how Rahm refuses to allow for a democratically elected school board, he fears a democratically elected police accountability council. Changing the system first starts with a demand. Demand that your Alderman push for a Civilian Police Accountability Council. Demand that your Alderman require the city to abolish the Code of Silence and police abuses in the upcoming police contract. Demand that the families of people killed by police get the justice that they deserve. Demand that this Fraternal Order of Police Contract get thrown in the trash. Photo: Rapper and activist FM Supreme (middle in red-shirt) after discussing ways to stop police brutality in Stieber’s Contemporary American History classes. This piece is featured in the January-February edition of the Chicago Union Teacher magazine. Two of our members discuss how they meet the challenge of helping students of all backgrounds better understand race and privilege. I teach Ethnic Studies, a junior and senior year elective course at Taft High School. Taft is located in the far northwest side of the city in a mostly white, blue collar, city worker Chicago neighborhood. My first unit of ethnic studies is always the most difficult. In this unit, I introduce students to the concept of systemic racism and privilege. We use readings and ideas from James Baldwin, Paulo Freire, and Beverly Daniels Tatum. Tatum’s 1st chapter of her book, “Why Are All the Black Kids Sitting Together in the Cafeteria?” informs students of a new definition of racism: In short, she states that racism is not being mean to someone based on the color of their skin, that is discrimination. She defines racism as a system of advantage based on race. Tatum believes this definition is best because it holds people responsible for the systems in place that contribute to inequality and privilege, even if you’re not aware that you are benefiting. To better understand the chapter and concepts, I hold a Socratic Seminar and ask students to discuss if her definition helps or hurts our society. For many of my students this is a liberating conversation. This is where many of my students of color open up to the class about the ways in which they’ve felt that the color of their skin, ethnic background, or religion made them feel less than. For many of my white students, this conversation is hurtful. Students have shared that when they first read this definition, they feel sad because they’ve never realized they have certain benefits or privileges that their peers don’t have. The discussions that emerge between my students during this difficult conversation are messy, tough, raw with emotion, but so full of hope. And they are necessary. “Ms. Almaraz, I’m not going to lie, when I first read Tatum, I was very mad at you. But after hearing my classmates’ experiences, I got it. I’m getting it. I’m still not there. But please be patient with me.” A student shared this with the class. My student’s words resonated with me. As a teacher of color, I am conscious of the fact that my experiences and realities are not my students, especially those that have a different ethnic background from me. I try hard to incorporate what I teach my students in my everyday life and I struggled with my student’s request. How can I teach my white students to be anti-racist? Then I remembered an experience with my white friend and teaching colleague, Dave Stieber. To me, this was an example of my colleague using his white privilege to help someone without this benefit. So naturally, because of this experience and conversations with him regarding his work around racism, I thought about him when my student asked what she could do to be anti-racist. I teach at Chicago Vocational on the South Side of the city. I love my students and work to make strong connections with them by the curriculum I create, content I teach, and the way in which I get to know my students. Over my ten years of teaching in CPS I have always worked hard to create a space where my students feel comfortable sharing their stories. I’ve learned from them about their experiences with the police, violence, and what life is like for a kid growing up in the city. I’ve learned that the privileges and experiences I had growing up white were not the same as my students. Based on the education my students give me, I have been working on not only trying to be anti-racist in my life, but also create a class that challenges the system of white supremacy. One of the ways that I do this is by bringing in guest speakers who work to change the systems in place in our city. I’ve found bringing in guest speakers to be very beneficial for my students and myself. A guest speaker further makes the learning real and relevant, it exposes students to more viewpoints that may differ from or complement our curriculum. It also shakes class up and lets the students hear a voice besides their teacher. The day after guest speakers my students always say something to the effect of, “the guest speaker we had yesterday was amazing, when are they coming back?” As the teacher, I tend to envy the novelty of the guest speakers. Their fresh voice captivates my students and they are excited to have them in the room. It wasn’t until this year that the opportunity to be a guest speaker myself became an option. Mayra knew I had written articles for the Huffington Post about race and she asked me if I would be willing to come in and talk to her students about my experiences understanding whiteness and privilege. I was nervous to speak at Taft, I was used to being in front of a room of students, but I had never spoke with white students about working to overcome their privileges. When I got off the expressway near Taft there were blue ribbons everywhere in support of Blue Lives Matter, increasing my anxiety. I had been writing a lot recently about why white people should support the Movement for Black Lives. But regardless I knew the work Mayra had been doing with her classes and I was excited. The classes went really well. Students asked questions. Many asked ways in which they themselves could work to be anti-racist. Some challenged some of my comments. Some arranged to come back to a later period that I was speaking at. Among the many great questions and comments there were two that really resonated with me. One student who very quietly asked me in front of the whole class, “My parents are racist. What can I do?” Mayra created such a safe and respectful environment that her student felt comfortable enough to ask that question and be honest amongst her peers. I admitted that I had racist family members too (I would contend all white people do). I told her I did not know what it was like to have blatantly racist parents, but by her knowing this about her parents and being willing to work to challenge this, was already a brave step. Another student stated in front of the entire group, “I want to be like you.” I have to be honest, I’ve never had anyone tell me that before (remember what I said about guest speakers, students love them). Both of these comments blew me away. I gave both these students some advice after class, such as listen to People of Color, read books that will push your thinking like Why Are All the Black Kids Sitting Together in the Cafeteria and A People’s History of the United States, read about Black Youth Project 100 and Assata’s Daughters. The work that Mayra does in her Ethnic Studies class challenges racism, white supremacy, and privilege daily. I am thankful for the opportunity to be a part of her work. As teachers, we should not only be inviting guest speakers into our classrooms more often, but we should actually be inviting other teachers to come speak to our students. We teachers know how brilliant and amazing many of our colleagues are. Rather than using a PB day to go speak to students in other schools like I had to, CPS should encourage collaboration and provide professional development days to work together. “ I understand that Mr. Stieber acted as both an alternate perspective and an example of how to cause an effect while being a somewhat “small scaled” (i.e. not a politician, political speaker, civil rights leader”) influence. Mayra Almaraz-De Santiago is a wife and mother of two boys, is a proud Chicagoan, born and raised in the Northwest Side. Her teaching career began 14 years ago in Chicago’s Back of the Yards neighborhood and she is now back to her Northwest Side roots, teaching high school history for CPS. Mayra has a deep passion for social justice and for helping students critically examine the world so they can change it. She is a Golden Apple Scholar, and received her Secondary Education in History degree from DePaul University. She is currently a candidate for National Board Certification. Dave Stieber is in his 10th year of teaching Social Studies in CPS. He is working to become National Board Certified. He has a Masters in Urban Education Policy Studies from UIC. He is an occasional blogger for the Huffington Post. His partner Stephanie Stieber is also a CPS teacher and together they have two children. Their school-aged child attends a CPS neighborhood school.